In order to play this riddle active content must be able to run. Make sure your browser allows it. 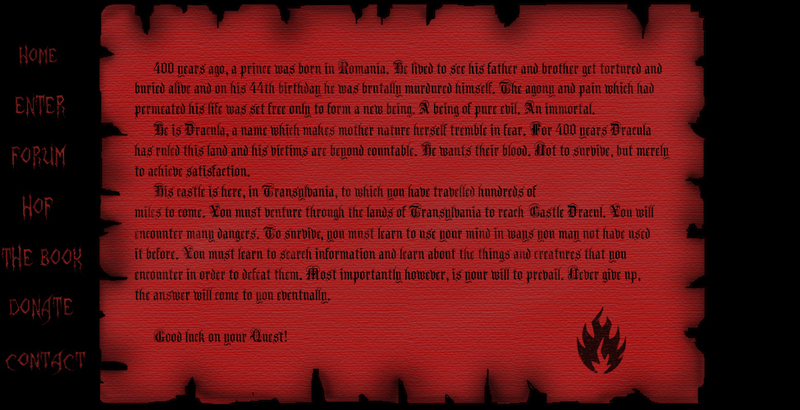 Set your CRT screen to full brightness since Transylvania is very dark. A TFT screen is recommended. Best viewed in 1280x1024.